Jaboneria Marianella has opened a flagship store and spa in the heart of SoHo following growing demand. 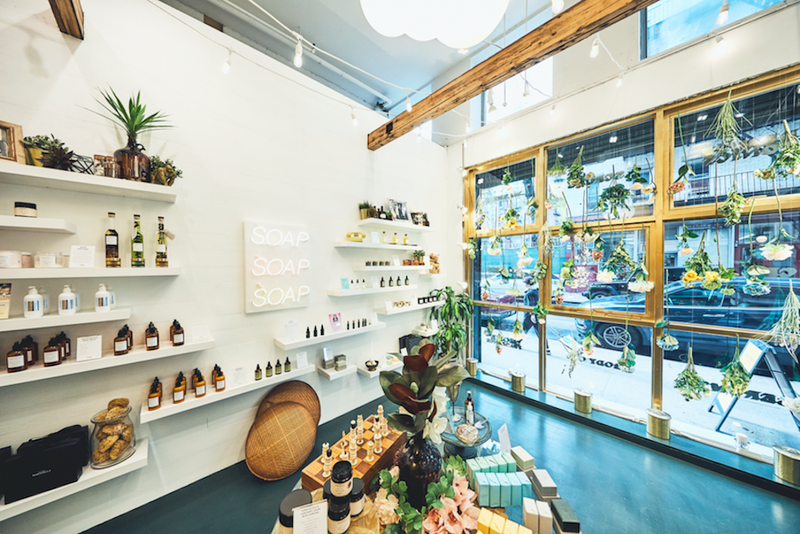 The mother and son luxury soap company has expanded their business with full spa offerings as well as launching a collaboration line with American Iron Chef, Geoffrey Zakarian. Jaboneria Marianella, the luxury beauty company with a focus on premium soaps, creams, serums, bath and body products all delicately crafted from the highest quality natural ingredients, is launching its flagship store in the heart of SoHo equipped with full spa offerings. Marianella has also launched a special collaboration line with American Iron Chef Geoffrey Zakarian, in tandem with the store opening and just in time for the holidays. The 1,960 square foot bi-level store features an interactive shop on the top floor with over 100 products, all made fresh on site and the bottom floor features a luxury spa where all treatments incorporate Marianella’s most premium products. The spa will offer 1-hour long treatments such as the Body Caviar Black Lava Polish: a 30-minute Swedish massage followed by a 30 minute vigorous full body exfoliation using their best selling Hawaiian Black Lava Body Scrub with Charcoal; The Glosage: a full body massage coupled with their luxurious golden body oil is meant to soothe and melt away muscle tension as well as penetrate deeply into the skin to bring balance to the mind and body as well as an outer ‘golden glow’. In addition to the launch of the store, Marianella will be launching a collaboration line on November 28th with one of the leading figures in the culinary world and American Iron Chef, Geoffrey Zakarian. The line, launching just in time for the holidays, consists of a hand wash and hand cream meant to be the perfect home sink staple. The handwash consists of soothing coriander and palo santo castile soap, avocado oil, Mediterranean borage seed oil, Babassu butter from the famed Brazilian palm and oil from Morocco’s ancient Argan tree. The hand cream is made of coriander and palo santo, a rich blend of oils and minerals, milk thistle seed extract, nourishing Argan oil, borage seed oil, and soothing rosemary extract to help create a luxurious formula that both moisturizes and replenishes. Since launch, Jaboneria Marianella has attracted a strong celebrity following with devoted fans such as Jonathan Van Ness who has used the product several times on his hit Netflix show, Queer Eye, Rosario Dawson, and Oprah, to name a few.